This trio of City Council candidates stands out from the pack. Voters should pick them this fall. Editor's note: This endorsement is part of an ongoing series of editorials in advance of the Nov. 6, 2018, general election. Also in this Oct. 10, 2018, issue, our editorial board endorses Luis Hernandez and John Colgan for Cornelius City Council, and Beach Pace, Kyle Allen and Olivia Alcaire for Hillsboro City Council. Our endorsement editorials in the previous issue on Oct. 3, 2018, recommended voters elect Kathryn Harrington as Washington County Board of Commissioners chairwoman and approve Ballot Measure 26-199. Our Sept. 26, 2018, endorsement editorial recommended voters reject Ballot Measures 103 and 104. Our Sept. 19, 2018, endorsement editorial recommended voters reject Ballot Measure 105. Our Sept. 12, 2018, endorsement editorial recommended voters approve Ballot Measure 102. In our opinion, it's an easy call as to who voters in Forest Grove should elect to the City Council this fall. Three seats are up on the City Council, and all three incumbents are running for re-election. Hoping to be elected to the council for the first time are two challengers (a third announced her withdrawal too late to have her name taken off the ballot). 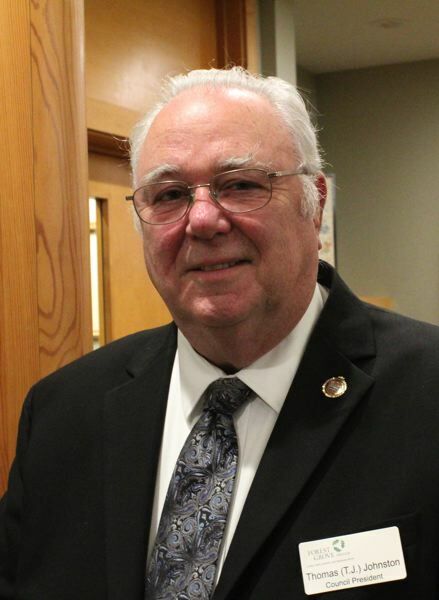 Current Council President Tom "T.J." Johnston is seeking a fifth term on the council. He told our editorial board when we sat down with him that he has "a fire burning," and that it's only burned hotter as he has served longer, learned more about the issues both in Forest Grove and across Oregon, and gained more experience in how to address them. Johnston has his blind spots — he didn't say much to us on the topic of age-based or racial diversity in Forest Grove, and he tends to approach issues of transportation and technology in terms of how they relate to first responders, being a former police officer and firefighter himself — but he is also clearly an effective member of the City Council. His involvement with groups like the League of Oregon Cities and the National League of Cities gives Forest Grove a stronger voice in Salem and even Washington, D.C. He is active in a number of social clubs and community organizations around Forest Grove, and he is well-connected and generally well-respected. Councilor Malynda Wenzl mounted an energetic campaign to win her seat in 2014, and in four years on the council, she has gained new perspective while still maintaining that level of energy, enthusiasm and gumption. "I was really naive when I first ran," she admitted to us. Our editorial board at the time did not endorse Wenzl when she ran in 2014. But we've observed Wenzl to be an active and capable city councilor, frequently pushing the council in a forward direction and giving voice to issues — she teaches at Neil Armstrong Middle School, placing her squarely in Forest Grove's working class and giving her a powerful connection to youth and families in the city — that might otherwise fall by the wayside. Wenzl and Devon Downeysmith are technically competing for the same pool of votes, since the top three vote-getters out of all the candidates are the ones who will earn council seats, but they are effectively running in concert, having endorsed one another in the race. It's easy to see why. 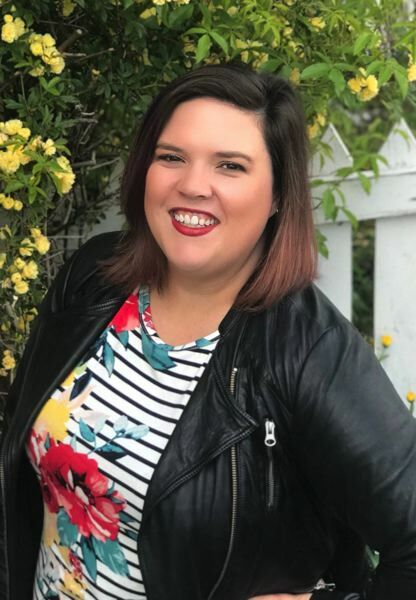 Downeysmith, an independent consultant and business-owner who told us she likes being her own boss because she can choose "value-driven" campaigns, has a similar sort of energy to Wenzl. She has positioned herself as a candidate who can bring "new blood" to a council that is numerically dominated by older men. She has been campaigning for a seat on the City Council since this spring, jumping into the race well before the official candidate filing period opened — in order to, she told us, get an early jump on meeting with as many people in and around Forest Grove as possible. It helps that Downeysmith is fluent in Spanish; she said she wants Forest Grove's sizable Latino population to feel comfortable addressing the City Council and participating in the civic process. Downeysmith is a first-time candidate, but she's hardly a novice in the world of politics, having years of campaign and political consulting experience — including right now, on a part-time basis, for the campaign to defeat Ballot Measure 105. 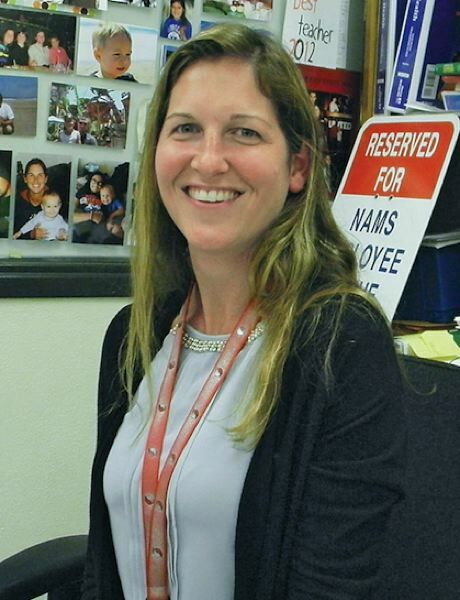 Her connections in Salem will serve her well as a city councilor. So will her experience as a city volunteer on the Forest Grove Committee for Community Involvement. And so will her obvious work ethic and inclusive approach. Councilor Ron Thompson is running for re-election as well. At 75, Thompson is the oldest member of the council, and he has accumulated a wealth of experiences in his time as a firefighter, a U.S. Forest Service policy analyst and a city planner on the Oregon Coast, not to mention his 16 years as a Forest Grove city councilor. But despite all of that, Thompson is perhaps the most laconic member of the council, a fact he acknowledged in his interview with our editorial board; in his words, he is "reserved" and prefers not to speak up much of the time. We appreciate Thompson's service to the city, as well as his volunteerism in driving for GroveLink once per week. But we'd like to see a fresh face on the council, and while we think Johnston and Wenzl are indispensable for the perspectives and enthusiasm they bring to the city, we don't see the same in Thompson. He will occasionally cast a contrary vote, but he doesn't do much to move the council in any direction. After 16 years, we hope someone else gets a chance to serve. The fifth candidate in the race is Solomon Clapshaw, a senior at Forest Grove High School who volunteers as a student liaison on Forest Grove's community forestry board. He said he was inspired to run after watching Wenzl, one of his teachers in middle school, run for a seat and win four years ago. We admire his willingness to put himself out there, and we are glad he is getting a chance to learn about politics and governance firsthand as a candidate — but he lacks the life experience we want to see. "I think if people know me, they know I'm a very responsible kid," Clapshaw told us. A beat later, perhaps remembering that he just turned 18 last month, he added, "Or, I guess I'm an adult now." Certainly, instead of being tethered to home for four years by obligation, we would like to see Clapshaw pursue higher education, vocational education or employment opportunities wherever life takes him. With his ideas and eagerness to serve, we'll be interested to see what he does in the future. Karen Reynolds is not considered in this endorsement, as she ended her campaign last month and no longer considers herself a candidate. Votes for Reynolds will still count, from a legal perspective, but Reynolds has said she will not serve if elected. Forest Grove voters should re-elect Johnston and Wenzl and elect Downeysmith to join them on the City Council. Editor's note: Due to a typographic error, an earlier version of this story misspelled one of the candidates' names in the headline. His name is Tom Johnston. The headline has been corrected.